Kenya ratified the Cape Town Convention (2001) on 13 October 2006. The provisions of the Convention (including the Protocol) have been given effect by the International Interests in Aircraft Equipment Act 2013 (International Interests Act), which came into operation on 9 March 2013. Kenya is a party to the New York Convention on the Recognition and Enforcement of Foreign Arbitral Awards of 1958 following its accession on 10 February 1989. The principal legislation is the Civil Aviation Act 2013 as amended. The Cape Town Convention has been given effect in Kenya by the International Interests Act. There are no restrictions on choice-of-law clauses in contracts generally. The parties are free to agree on the law that is to govern their contractual rights and obligations and Kenyan courts will generally recognise and give effect to governing law and jurisdiction provisions in contracts. However, decisions of the English courts are of persuasive value to the Kenyan courts. Accordingly, the Blue Sky case (Blue Sky One Limited and others v Mahan Air and another  EWHC 631 (Comm)) could impact on the governing law for a mortgage over an aircraft. notwithstanding that the contract may specify the laws of Kenya as the governing law. The Blue Sky case found that such a mortgage must be created in accordance with the domestic laws of the jurisdiction where the aircraft is physically situated when the mortgage is executed, and if not, it may be declared void. Therefore, when taking a Kenyan law mortgage over an aircraft or effecting a sale of an aircraft governed by Kenyan law, it is recommended practice to ensure that the aircraft is physically located in Kenya or present in Kenyan airspace when the mortgage or sale instrument is executed. Title in an aircraft may effectively be transferred by a bill of sale. In submitting an application for aircraft registration to the civil authority, it is required that the applicant show evidence of ownership, and this is typically accepted to be in the form of a certified copy of the aircraft’s current bill of sale. Although oral contracts are legally binding, they may be difficult to enforce. A bill of sale should be in writing and must be duly executed by the transferor with a statement that the aircraft is being transferred to the transferor absolutely, for sufficient consideration. It must be stamped with the requisite duty in accordance with the Stamp Duty Act (Chapter 480 of the Laws of Kenya) within 30 days of execution or, if executed outside Kenya, within 30 days of first being introduced into Kenya in order to be admissible as evidence in a Kenyan court. Failure to stamp a stampable instrument constitutes a criminal offence under said Act, punishable by fine. There is no requirement for the bill of sale to be notarised, legalised or apostilled. English is the official language of Kenya and while there is no legal requirement for translation of a bill of sale, from a practical perspective any document not in the English language may need to be translated if required for presentation in any formal capacity. The aircraft registry identifies the owner of an aircraft, and, if different from the owner, the operator. The body that is responsible for the registration of civil aircraft is known as the Kenya Civil Aviation Authority (KCAA), which maintains in its premises a register for this purpose. The KCAA does not maintain a specific engine register. Kenya is currently not a party to any 83-bis arrangements. An aircraft is eligible for registration in Kenya if owned by a citizen of Kenya, an individual citizen of a foreign state who is lawfully admitted for residency in Kenya, a corporation lawfully organised and doing business in Kenya, or a government entity of Kenya, provided that the aircraft is not registered under the laws of any foreign country. bodies corporate, established under subject laws of Kenya, or established under and subject to the laws of such country as the KCAA may approve. the aircraft does not qualify to be issued with a certificate of airworthiness as specified in the Civil Aviation (Airworthiness) Regulations 2013. Despite the foregoing, an unqualified person who holds a legal or beneficial interest in the aircraft, or a share therein and who resides or has a place of business in Kenya may obtain registration of an aircraft provided the KCAA is satisfied that the aircraft can be properly registered and provided that while registered, the aircraft is not used for the purpose of commercial air transport operations or aerial work. In addition, where an aircraft is leased or is the subject of a lease, charter or hire purchase agreement to a qualified person the KCAA may, whether or not an unqualified person is entitled as owner to a legal or beneficial interest therein, register the aircraft in the names of the parties to the charter or hire purchase agreement upon being satisfied that the aircraft may otherwise remain so registered during the continuation of the lease, charter or hire-purchase agreement. An ownership interest over an aircraft can be registered with the KCAA as described above. However, registration does not constitute proof of ownership of the particular aircraft as the Kenya civil aircraft register is not a register of legal ownership. In addition to the details of the owner, in the case of a lease agreement or financial arrangement, the KCAA will include the names and addresses of the lessee and lessor or the financier, as the case may be. Interests in aircraft engines cannot be registered. Ownership and leasehold interests over an aircraft object and falling under the Cape Town Convention may be registered at the International Registry. Form KCAA (L) 100 is completed and submitted in accordance with the Civil Aviation (Aircraft Nationality and Registration Marks) Regulations 2013 by the owner or on behalf of the owner. Upon review and approval of the supporting documentation, an authorisation payment slip is issued to allow for payment of the requisite fees (currently approximately US$150). A certified copy of the aircraft’s current insurance certificate and the original Kenya Revenue Authority’s customs department’s certificate of clearance for aircraft must also be provided as part of the supporting documents. Other supporting documents include evidence of title (bill of sale) and evidence of power of attorney of any signatory to the application. Further guidance is available in the KCAA’s Advisory Circular CAA-AC-AWS001B of April 2013. The certificate of registration issued by the KCAA upon registration of an aircraft is not proof of the aircraft ownership or title. However, the certificate provides prima facie evidence of ownership of the particular aircraft. For ownership interests registered under the International Registry, the buyer of an aircraft object will acquire an interest in the object subject to the interests registered at the time and interest in the aircraft object will be free from an unregistered interest even if the buyer has actual knowledge of such an interest. Registration gives notice to third parties of the existence of an interest and the first registration of an interest has priority over subsequent registrations and unregistered interests. In the case of a lease arrangement the KCAA will include the names and addresses of lessee and lessor on the register and on the certificate of registration. These details should be included in the application form KCAA (L) 100 that is submitted at the time of registering the aircraft. A certified copy of the lease agreement should accompany the application. An interest constituting an ‘international interest’ in an aircraft object under the Cape Town Convention is registrable on the International Registry. the conditions with regard to which the aircraft is registered. The KCAA will not issue a separate engine certificate of registration. The KCAA requires an owner or a mortgagee whose interest has been included on the register and certificate of registration to consent to any deregistration of an aircraft. If at any time after an aircraft has been registered in Kenya an unqualified person becomes entitled as owner to a legal or beneficial interest in the aircraft or share therein, the registration of the aircraft becomes void and the certificate of registration should be returned for cancellation. If the aircraft is subject to an irrevocable deregistration and export request authorisation (IDERA) pursuant to the Cape Town Convention, the KCAA will require that the IDERA be revoked in writing by the authorised party named in the IDERA before deregistration. The consent of a lessee is not required in relation to deregistration and export. A deregistration power of attorney provided in Kenya will typically be irrevocable and executed as a deed. However, there is no mandatory requirement to provide the same. An irrevocable power of attorney will survive the grantor’s insolvency. Where a power of attorney is coupled with an interest given to secure a proprietary interest of the grantee of the power, or the performance of an obligation owed to the grantee, then so long as the grantee has that interest or the obligation remains undischarged, the power is irrevocable even in the case of the grantor’s insolvency. An IDERA may be issued by an aircraft’s operator in favour of an authorised party, typically the registered owner or a creditor. The IDERA must be in the form prescribed in the Protocol to the Cape Town Convention and the form must be lodged with the KCAA for acknowledgment and countersigning by the Director General of the KCAA. The lodging of the IDERA is done based on an existing registered interest and will therefore be lodged after the certificate of registration for the aircraft has been issued. Notwithstanding the use of an IDERA, it is advisable to still maintain parallel powers of attorney for deregistration and export, as an IDERA is not a document that another government entity is obliged to recognise. A mortgage is the typical form of security over an aircraft. Mortgages over an aircraft may be either legal or equitable mortgages. In practice, aircraft mortgages are prepared based on the freedom of the parties to contract on the terms to be included. It is not required for a mortgage to state the maximum secured amount; however, for stamp duty purposes it is necessary to identify an amount secured. In order to comply with the International Interests Act, the aircraft mortgage is required to be in writing and relate to an identifiable aircraft object, and should enable the secured obligations to be determined. The official language of Kenya is English and mortgage documents will typically be drafted in this language. Under the Companies Act 2015, the Registrar of Companies is permitted to refuse to accept any document lodged or submitted to it for registration in a language other than English. Stamp duty is payable on a security instrument within 30 days of execution of the document if executed in Kenya. If executed outside Kenya, the duty is payable within 30 days of the document subsequently being brought into the country. Failure to stamp a document renders the document inadmissible as evidence in a court of law. The rate of stamp duty depends on the particular instrument. For instance, stamp duty payable on a mortgage or an assignment by way of security is 0.1 per cent of the amount secured by the instrument. Certified translations of security documents may be provided; however, most documents will typically be drawn in English. The KCAA does not maintain an aircraft mortgages registry. Kenya ratified the Geneva Convention in 1997, but a registry has not been established. Pursuant to the Companies Act, the Registrar of Companies maintains a register of certain types of charges (including mortgages) created by a company, including a charge on an aircraft owned by the company or in which it has a proprietorial interest. The registry enables parties to conduct searches and in so doing, identify any registered encumbrances on a company incorporated in Kenya and certain of its assets. Subject to the following paragraphs, in order to perfect a security under the Companies Act, the stamped security document is presented for registration together with a completed form CR25. It is required that this is done within 30 days from the day of creation of the security interest. If created outside Kenya, the charge must be presented for registration within 21 days of the day on which a copy of it could have been received in Kenya, if dispatched with due diligence. If not registered within the prescribed period, the charge will be void as against an administrator, liquidator or creditor upon insolvency. However, this does not affect the operation of the contract or obligation for repayment of the money secured, which once the charge is void, immediately becomes payable. Registration fees will vary depending on the amount secured by the charge. Notwithstanding the provisions of the Companies Act, the International Interests Act provides that the requirement for registration of charges under the Companies Act shall not apply to a charge created after the commencement of the International Interests Act, on any aircraft objects falling within the scope of the Convention and the Protocol. Registration of a security interest in an aircraft under the Companies Act where the aircraft falls within the scope of the Convention and Protocol is therefore not mandatory for its enforcement against any liquidator, administrator or creditor, but can nonetheless be effected at the option of the secured creditor. If the security creates an international interest then registration is completed online at the International Registry following the International Registry regulations and procedures. A certificate of the registration of a Mortgage is issued by the Registrar of Companies. The certificate does not indicate the rank or priority of the security interest and this will be determined by the date of registration. A charge registered at the Companies Registry will take priority over all other unregistered charges or charges subsequently registered. A search may be conducted over the specific company file at the Companies Registry to identify any registrable security interests registered against the company. In addition, a company is required to keep a register of charges and its creditors have the right to inspect the register. Common law and statutory rights of lien or detention rights may take priority over a registered security interest (eg, a common law lien may be exercised by a repairer or maintenance facility that has not been paid and has possession of the aircraft or by the KCAA in respect of unpaid navigation charges). Where there is a registration of a security interest at the International Registry, the security will take priority in accordance with the Cape Town Convention provisions. Security over an aircraft is either by way of a mortgage or, in the case of an aircraft lease, a grant of assignment over the rent proceeds. In both instances, a financier will typically require the mortgagor or lessee to also grant an assignment over the insurance proceeds. Under Kenyan law the concept of a security trustee is recognised and a mortgage may be granted in favour of and made in the name of a security trustee acting on behalf of the beneficiaries. A security trustee can hold a security in its name for a changing group of beneficiaries without affecting the security, as the security would have been registered in its name without reference to the underlying beneficiaries. The security trustee will exercise all rights available to a mortgagee under a mortgage. A new financier’s interest should be included in the register with KCAA and noted on the aircraft certificate of registration. A mortgage may be created over a spare engine in the same way it is created over an aircraft. See question 17 regarding the registration of security interests pursuant to the Companies Act and the Cape Town Convention. Kenya adopts the English common law principle of accession that if any property receives an accession by natural or artificial means, the original owner is entitled, by his or her right of possession, to the property in its improved state. It is common practice in security documents to define the aircraft as including all engines installed periodically. To avoid a dispute, it is advised that the owner of an aircraft or other security holder expressly recognise third-party ownership or legal interests in an engine, and undertake that it will not claim an interest in an engine. Kenyan law permits a lessor to exercise self-help remedies subject to the terms of a lease without necessarily applying for a court order. In such instances, a lessee can accede to a lessor’s request to return or surrender the aircraft. Alternatively, if the lessor can gain access to the aircraft, the lessor can proceed with repossession. In the event a lessee is not cooperative, a lessor can apply to the High Court for an order to repossess or sell the aircraft, or both. In principle, the lessee is to be served with the court application; however, if the lessor is of the opinion that the aircraft is at risk (cannibalisation of engines or parts, or removal of the aircraft from the jurisdiction), an ex parte application can be made to the court on an urgent basis, and orders granted to repossess the aircraft. In either of the cases, the lessor shall need to notify the KCAA of the termination of lease and of its intention to exercise its right to re-register the aircraft, or deregister and export the aircraft from Kenya. The lessor’s rights to repossess can be impeded by a lessee by applying to the courts for injunctive orders to prevent repossession of the aircraft by a lessor or orders for the restoration of the repossessed aircraft. The enforcement by a creditor of its interest can be achieved by the voluntary surrender of the aircraft by the owner, or by a creditor either exercising self-help remedies or obtaining such court orders that allow for the enforcement of the rights subject to the terms of a security agreement. Under a mortgage, the remedies available are typically the repossession and sale of the aircraft. collecting and receiving income arising from the management or use of the aircraft. The above remedies can be exercised without necessarily going to court. However, it is generally prudent for a creditor to obtain a court order to minimise the risk of any subsequent action that an owner can take as a result of a creditor exercising their rights (eg, a creditor being subject to a claim for trespass by the owner or an aggrieved third party). It is standard practice for a security agreement to grant a creditor a right of egress but such a right is limited to an owner’s property; conversely, a court order grants the same right of egress and can on application extend this right to such premises not captured by the provisions of a security agreement. In addition, the Consumer Protection Act 2012 requires the holder of a security interest in a security agreement incidental to an agreement in respect of which delivery, performance or payment in full is not made when the parties enter the agreement, to obtain the leave of the court when the debtor has paid two-thirds or more of its payment obligations thereunder, in order to repossess or sell the aircraft. The court shall in such an instance use its own discretion to either deny or grant leave or grant leave subject to terms and conditions the court advises. A mortgagee can seek additional court orders to authorise or compel the assistance of the police or such other public entities deemed necessary by it to obtain the relief sought. An ex parte detention order can be also obtained to detain the aircraft, but such orders are issued on the grounds that there is an immediate or imminent risk to the aircraft departing the court’s jurisdiction. Equally under the court process, provided an owner can satisfy the legal requirements for the grant of injunctive orders, a court may provide injunctive orders to restrain a mortgagee from exercising its power of sale, repossession or leasing of the aircraft pending determination of the substantive suit. Where the security interest is a registered international interest, in the event an owner is insolvent and the insolvency is a default event under a mortgage, the International Interests Act, provides that the owner or a receiver or administrator of the owner has a period of 60 days within which to give possession of the aircraft to the mortgagee. Under Regulation 6(1) of the Civil Aviation (Regulatory Fees and Charges for Air Navigation Services) Regulations 2014, the Director-General of the KCAA, or any person authorised by him or her in writing, may detain any aircraft whose owner has refused or neglected to pay the prescribed charges payable. Repairers who have undertaken work on an aircraft may have a lien over the aircraft and a lienholder subject to any existing contract and statute, can exercise a power of sale. third, taxes due on a company such as corporate and withholding tax, along with customs and excise tax. taxes, duties and levies due to the government. 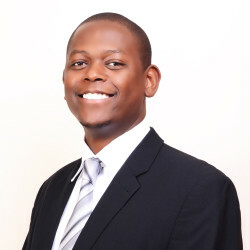 Kenya also made a declaration under article 39(1)(b) of the Convention that nothing in the Cape Town Convention shall affect the right of a state or state entity, intergovernmental organisation or other private provider of public services to arrest or detain an object under the laws of that state for payment of amounts owed to such entity, organisation or provider directly relating to those services in respect of that object or another object. Under the Kenya Defence Forces Act 2012, an officer of the defence forces may, if necessary in the interests of defence or public safety, issue a requisition. In such an occurrence, the owner (or operator if leased) shall be entitled to payment for the use of the aircraft, any damage caused (except a total loss or damage attributable to fair wear and tear) and, in the event of total loss, the value of the aircraft immediately preceding the occurrence of the loss. 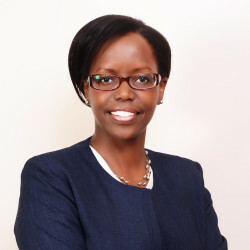 There are also powers given to the president under sections 3 and 4(2)(g) of the Preservation of Public Security Act (Chapter 57 of the Laws of Kenya) to publish regulations for the preservation of public security, which may make provision for the compulsory acquisition, requisition, control or disposition of any movable property. No regulations of this nature have been published as at this time. Additionally, an aircraft can be confiscated or forfeited if it is used in the commission of an offence, pursuant to section 47 of the Narcotics Drugs and Psychotropic Substances Act, 1994. A notice of seizure is granted to the owner. In the event the owner is convicted, a notice shall be published and a party with a security interest in the aircraft shall thereafter have 30 days to apply to the High Court for relief, failure of which all interests shall be void upon a final order being made by the court. Pursuant to section 35(1)(c) of the Income Tax Act (Chapter 470 of the Laws of Kenya), there is no obligation to deduct and withhold tax from any payments of rent for aircraft or aircraft engines made to a non-resident person not having a permanent establishment in Kenya. However, any payment of interest (whether on a loan repayment or in any other manner) is subject to withholding tax, at the rate of 15 per cent for payments to both a resident and to a non-resident person not having a permanent establishment in Kenya. A permanent establishment is defined as a fixed place of business in which that person carries on business. Gross-up provisions are effective and are in practice included in cross-border leases where the lessee or sublessee is a Kenyan entity. The hiring, leasing and chartering of aircraft are currently exempt under the VAT Act 2013; accordingly, payments for these services do not attract VAT. A transfer of an aircraft is effected by a bill of sale. A bill of sale may be assessed for stamp duty as a ‘conveyance’, which attracts stamp duty at the rate of 2 per cent of the transfer amount. 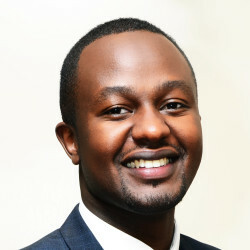 As it is not necessary to pay the stamp duty unless the original instrument is brought into Kenya and the original bill of sale is not normally required for the process of aircraft registration, this liability can be minimised by executing and retaining the bill of sale outside the jurisdiction. However, a stampable instrument must be stamped in order to be admissible as evidence in a Kenyan court and if it is executed outside Kenya, this must be done within 30 days of first being introduced into Kenya. Failure to stamp a stampable instrument within the statutory timelines constitutes a criminal offence under the Stamp Duty Act, punishable by fine. There are currently no exchange controls in Kenya and no restrictions apply to international payments except a requirement by the Central Bank of Kenya that, for any amount above US$10,000, information should be provided by either the recipient or by the sender, or both, to support the authenticity of the transaction. The remitting or receiving local bank shall make the enquiries on behalf of the Central Bank of Kenya and shall submit documents reflecting or supporting the transaction (eg, a copy of an aircraft purchase and sale agreement, escrow agreement). There are no prescribed limitations set on the amount of default interest that can be charged on a lease or loan payments. However, a Kenyan court might not give effect to any of the provisions of a lease or loan agreement providing for the payment by the borrower or lessee of interest on overdue amounts if the amount expressed as being payable were a penalty, or in the nature of a penalty. Aircraft of any weight are currently exempt from import VAT under the VAT Act. Under the Miscellaneous Fees and Levies Act 2016, aircraft are also exempt from the 2 per cent import declaration fee paid on all goods imported into Kenya for home use. Pursuant to section 8(2) of the Miscellaneous Fees and Levies Act, a railway development levy of 1.5 per cent of the customs value of the aircraft shall be paid by the importer of an aircraft for home use at the time of entering the aircraft into the country. Upon confirming the payment of the tax and levies, the Customs Services Department of the Kenya Revenue Authority issues an importer with a customs clearance certificate. There is no duty payable on the export of an aircraft. Pursuant to Regulation 5 of the Civil Aviation (Insurance) Regulations 2009, aircraft registered in Kenya are required to be issued with a certificate of insurance by a company registered in Kenya under the Insurance Act to carry on aviation insurance business. However, the Regulations permit the Commissioner of Insurance to approve the issuance of insurance policies by any other insurer. There are no statutory restrictions on cut-through provisions and they are considered legally effective and subject to principles of the laws of contract. Assignment of reinsurances are considered legally effective. Apart from the circumstances of strict liability in relation to an owner, discussed in question 33, Kenya does not create a regime for strict liability for parties without operational control of an aircraft. Under section 59(2) of the Civil Aviation Act, the owner of an aircraft shall be held strictly liable for material loss and damage caused by the aircraft to a third party or property, unless the loss or damage was contributed by negligence of the person by whom it was suffered. Where such material loss or damage is caused in circumstances in which damages are recoverable in respect of such loss or damage by virtue only of section 59(2) and a legal liability is created in some person other than the owner to pay damages in respect of such loss or damage, the owner shall be entitled to be indemnified by that other person against any claim in respect of such loss or damage. Pursuant to section 59(3), where the aircraft has been demised, let or hired for a period exceeding 14 days and during such time the owner had no operational control over the aircraft, the liability under section 59(2) shall be borne by the person to whom the aircraft has been demised, let or hired. The Civil Aviation (Insurance) Regulations require a commercial aircraft to carry insurance in respect of passenger liability, cargo, baggage and mail risks. In addition, it also states that no person shall fly or cause or permit any other person to fly an aircraft, unless they have an insurance policy that covers third-party risks, which, as per the Regulations, has a set minimum of approximately US$600,000. The Kenyan Government has initiated the process to overhaul the existing Civil Aviation Act regulations relating to aviation licensing, operation, safety and security. At the time of writing, the expected 32 regulations had not been published. It is projected that by the end of May or mid-June 2018 that all new regulations will have been published and in force. From a review of the draft regulations, we do not anticipate that the new regulations will substantively change our responses in this chapter. On 13 October 2017, the Civil Aviation (Remote Piloted Aircraft Systems) Regulations, 2017 (Drone Regulations) were passed to provide for the licensing, regulation and use of remotely piloted aircraft systems, also known as unmanned aerial vehicles or drones. These regulations have paved the way for the commercial use of drones in Kenya.